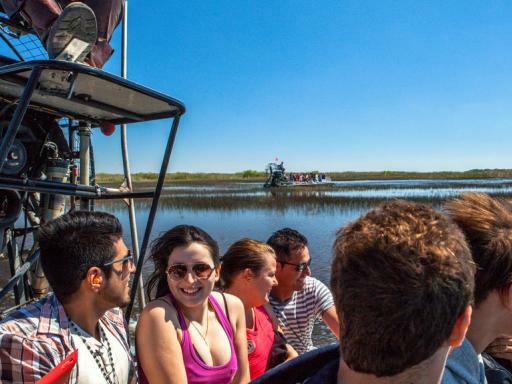 You cannot visit Miami without venturing to the world-famous Everglades, the largest remaining swampland in the world, for an exhilarating airboat ride. 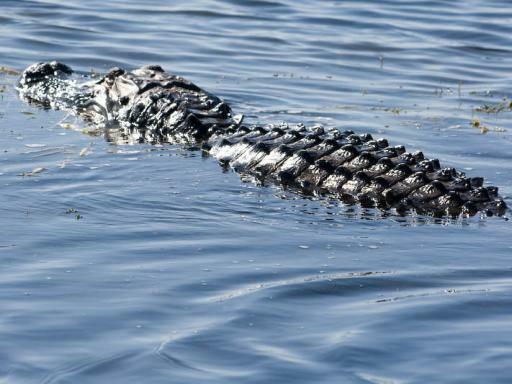 Keep your eyes peeled for 'gators! 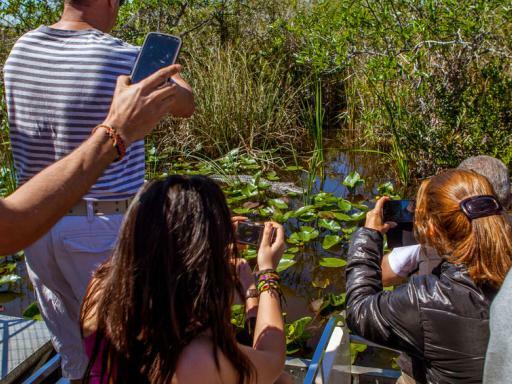 Departing from Miami Beach, don't miss this opportunity to visit the Everglades National Park, the largest remaining swampland in the world and home to a huge variety of wildlife. 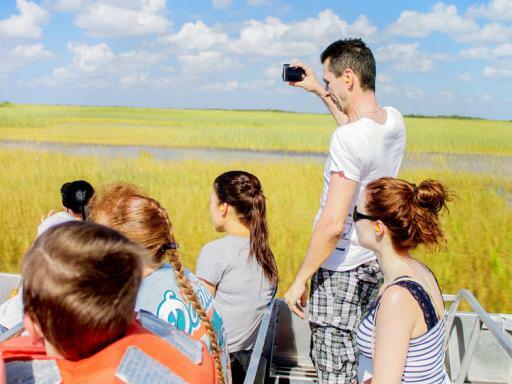 Accompanied by an expert captain and guide, an airboat ride is the best way to explore the vast wilderness and you will enjoy the thrill of whizzing through the 'River Grass' as you search out the local wildlife. 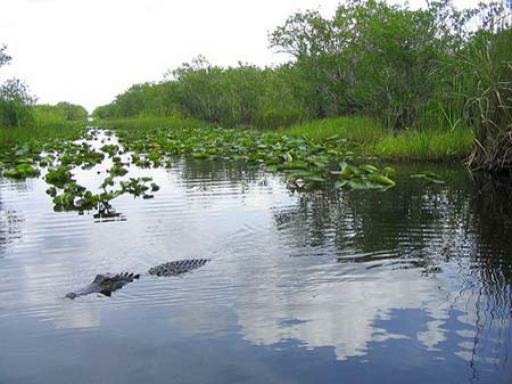 Here you will see the Florida panther, American crocodile and West Indian manatee amongst inhabitents of this natural wetland habitat. 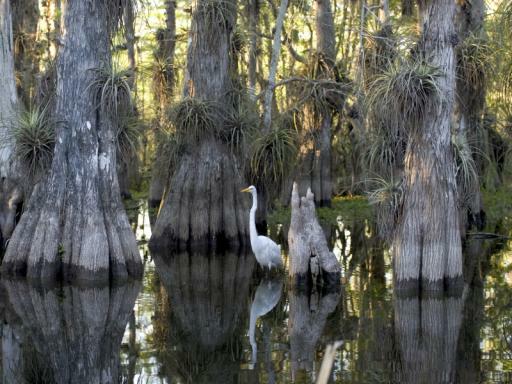 What looks like miles of flat land is in fact expansive wetlands, perfect for aquatic creatures. 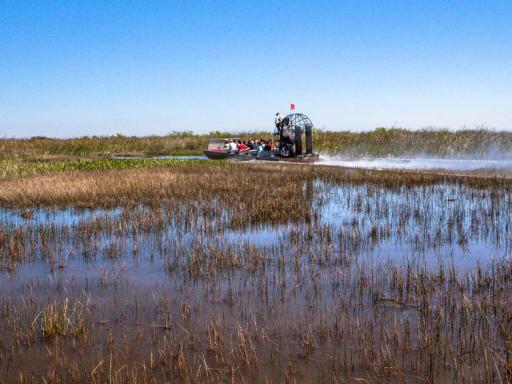 The Airboat is your only link to dry land out here, save the few tree covered islands, or hammocks, where raccoons, whitetail deer and wild boar run wild. 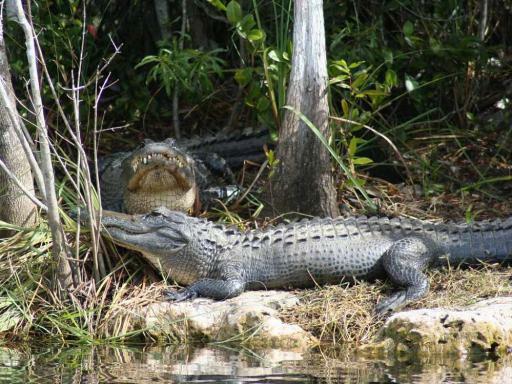 Your day ends with a live alligator show - a uniquely Floridian experience! Watch alligator wrestling from just a few steps away - this barehanded technique was originally used by the Seminole Indians to capture alligators and showcases the great power and agility of the gators. 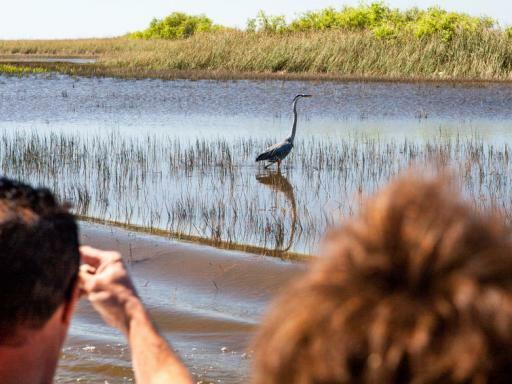 Why we love it - A chance to experience Florida’s most famous natural attraction. Departure Location: For customers not staying in this area, the tour departs from Main Terminal located at 1663 Washington Ave, Miami Beach, Fl 33139. 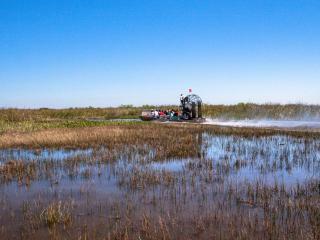 Duration: Approximately 4 hours - the airboat ride is approximately 30 minutes in duration. Hotel Pick Up: Yes, from Miami Beach hotels (Collins Avenue and Ocean Drive). Start Times: 9.30am - pick-ups take place from 8.30am. Had great time seen 4 alligators! Very organised tour and a fun day out!